I chain-plied this to preserve the color changes and I have to say, I’m pretty happy with how it came out. 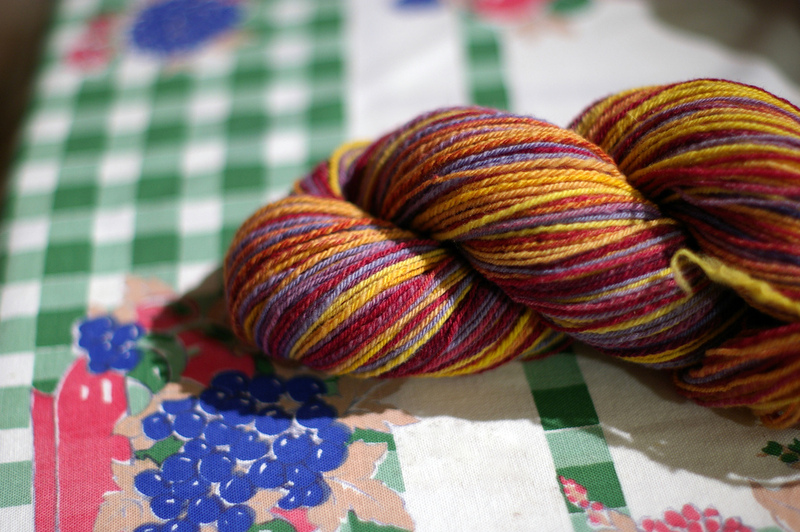 I ended up with a bit more than 400 yards – I spun the singles on the CPW and plied it on the Sonata. By the way, her Targhee is so soft it feels like it’s made from unicorns and babies (okay all her fiber is this soft. It’s magical). Seriously. In fact, I love it so much, I’m knitting it right away into a pair of Leyburns!